"We are proud to be a part of Orlando’s community solution to care for veterans and military families," said Dr. Anthony Hassan, CVN President & CEO. March 2, 2018 – More than 230,000 post-9/11 Florida veterans will soon be able to receive customized life-saving mental health care at no or low-cost statewide through The Steven A. Cohen Military Family Clinic at Aspire Partners. The new Orlando location is expected to open this fall and will also serve veterans and their families statewide through CVN Telehealth Services. The expected wait between first contact and a first appointment at a Steven A. Cohen Military Family Clinic is less than one week. For anyone in crisis, the Cohen Clinic will schedule same day appointments. In person and telehealth treatment is available for a variety of mental health issues including depression, anxiety, PTSD, adjustment issues, anger, grief & loss, family issues, transitional challenges, relationship problems, and child behavioral problems. The Cohen Veterans Network is a 501(c)(3) national non-profit, clinically integrated mental health system for post-9/11 veterans and their families. CVN focuses on improving mental health outcomes, with a goal to build a network of outpatient mental health clinics for veterans and their families in high-need communities, in which trained clinicians deliver holistic evidence-based care to treat mental health conditions. 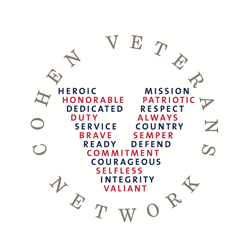 Learn more about the Cohen Veterans Network.